COMMENT #1: Marty, I can see why the government said you manipulate the world. The countless people who plagiarize whatever you and your computer forecast is unbelievable. There are people claiming the world will end on October 1st to others trying to pretend they have the same model giving the date as October 7th. Then there are the people claiming now to have invented the cycle of war model with the same targets. You say gold will fall below $1,000 and within days Goldman Sachs amazingly says the same thing. You say we will need to replace the dollar as the reserve currency and the IMF schedules hearings in September to introduce the SDR as the dollar replacement. 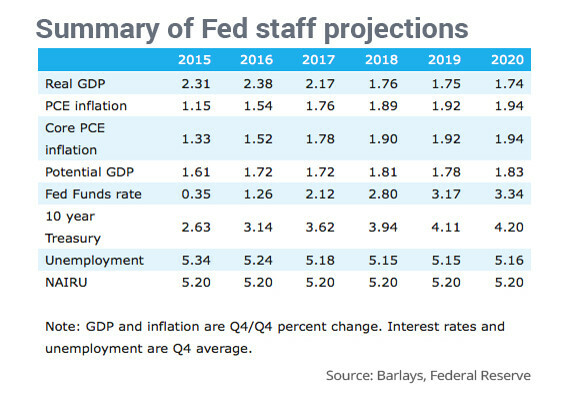 But all this pales in comparison to the recent leak in the Federal Reserve internal forecast. They have adopted your forecasts for rising interest rates and lower economic growth into 2020. Then there is the central bank of China who admitted they use what you invented – Capital Flow Analysis. The more I become familiar with your work and style, the more I can see just how much everyone follows your lead without ever giving you credit. Obviously they wanted your model and bury you alive taking the Holy Grail for themselves. My forecast is that when this this crashes and burns, they will be pleading with you to fix the world. These clowns can follow what you write and claim it is their’s, but they lack any comprehension of how to do it for real. That is very clear since they only follow you, never lead. Anyone who copies you without credit is just a dishonest person who I would never trust. You do an amazing job. I understand why they made a movie about you as the Forecaster. You are proving to the world there is a different way. Congratulations on your accomplishment. Plagiarism is the greatest form of flattery. REPLY: Creating a computer that monitors the world taught me rather than the other way around. That lesson would not have been recognized had it not been for our international client base and me constantly running around the world, seeing everything through different perspectives. You cannot come up with such models without observing the world. At the same time, those who continually try to get their hands on the model have tormented me. They are greedy little bastards who think they will become the next trillionaire if they just get the code. They fail to realize that others would kill them in a heartbeat. Anyone who tries to steal the model has to be suicidal or just plain stupid. My efforts have been the whole purpose of trying to port this project to the web and to go public so our clients can inherit the model and it will remain available for the world. If we simply monitored the capital flows and go with it, then we stand a chance of graduating to the next level in the evolutionary process instead of being like a broken record where the needle cannot advance to the next groove. This means altering politics dramatically, and in doing so we can reduce the risk of war. This is something I discovered rather than my theory. I honestly do not see how anyone could come up with such a theory first and then try to prove such a thing in a few months or years. This was my discovery after a lifetime of observing how everything functions. You cannot come up with a blueprint of the world by sitting in an office. I had to observe, as did Adam Smith, to grasp that knowledge. It will not appear out of thin air. We have the most loyal client base of anyone because they are sharing that same journey. This is something bigger than all of us put together that encroaches upon that lofty unknown we refer to as the meaning of life. We instinctively know something is out there, but we cannot reach it with all the bias and prejudices that stand in the way. « Did Greenspan Invent BASIC Programming?